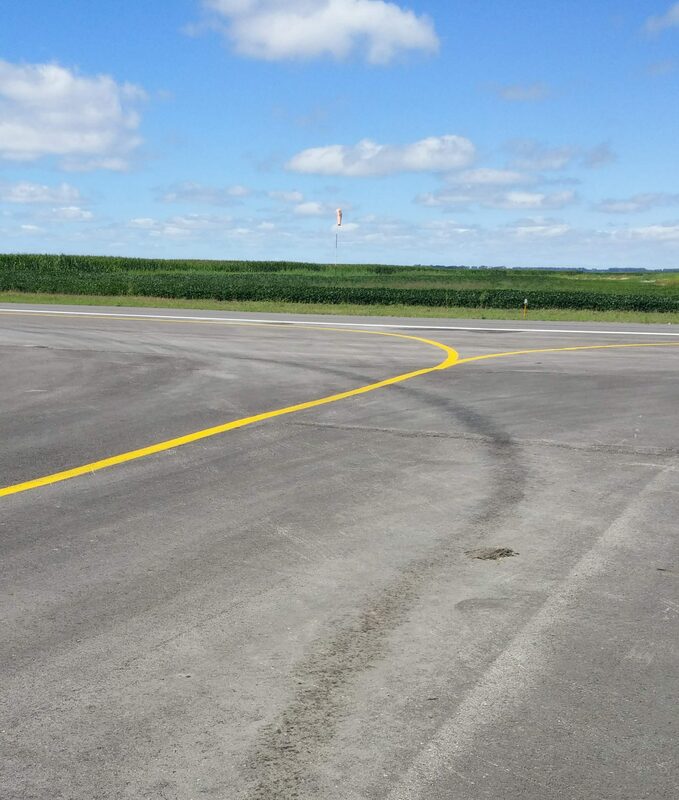 The Mayville Municipal Airport’s runway was in need of replacement. The runway had poor rideability and had fallen victim to alligator cracking along with large, transverse cracks. 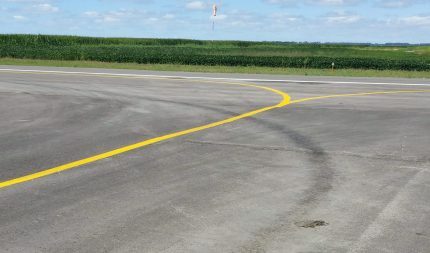 The Pavement Condition Index (PCI), which is recommended to be above 65 for a general aviation airport, ranked at a 38 on the Mayville runway. The township road at the north end of the runway created a safety issue with the approach clearance. The North Dakota Aeronautics Commission encouraged a shift of the runway south to afford that clearance. Measuring 3,200 feet long by 56 feet wide, the runway was also in need of an expansion to accommodate the aircraft type using the airfield. Most of the runway’s lighting was non-functional and there were drainage issues as well. The subgrade was a concern because of the area’s clay soils and the high water table. Moore assisted with agreements to shift Mayville’s runway 365 feet south to provide an approach slope of 20:1 allowing clearance of the township road by 15 feet. They also expanded the runway to the dimensions of 3,300 feet long by 60 feet wide. New runway lights and controls were installed. Moore’s design raised the centerline of the runway 6 inches and increased pavement thickness and Class 5 travel base depths. This improved the structural integrity of the runway and allowed for ditches alongside the runway. Sub-drain tile was also added to lower the existing high ground water table. Finally, Moore designed a separate apron for the public, leaving space for possible future buildings. The new runway is now up to standards and will provide many years of service if maintained properly. 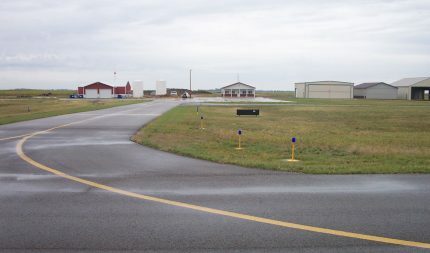 The airport typically sees around 5,100 operations per year and is commonly used by the University of North Dakota Aerospace.